Zortrax has launched a new printer, the Inkspire, that prints using an LCD to create objects in high-quality resin in minutes. 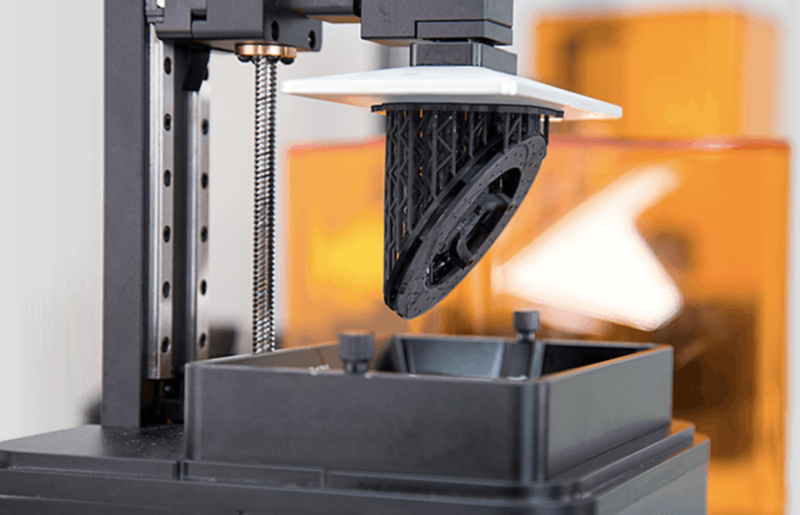 The printer – essentially an upgrade to traditional stereolithography (SLA) printers – uses a single frame of light to create layers of 25 microns. Most SLA printers use a laser or DLP to shine a pattern on the resin. The light hardens the resin instantly, creating a layer of material that the printer then pulls up and out as the object grows. The UV LCD in the $2,699 Inkspire throws an entire layer at a time and is nine times more precise than standard SLA systems. It can print 20 to 36 millimeters per hour and the system can print objects in serial, allowing you to to print hundreds of thousands of small objects per month. The printer company, which is now one of the largest in Central Europe, explored multiple technologies before settling on this form of SLA printing. The company sells 6,500 printers yearly and will see $13.7 million in revenue this year. They are also selling resins for their new printers and they will ship in about two months. Printers like the Inkspire are a bit harder to use than traditional extruder-based printers like Makerbots. However, the quality and print speed is far better and paves the way to truly 3D-printed production runs for one-off parts.